Researchers stalk seasonal lightning in the most struck place on Earth. A lightning bolt fractures the night sky. Wings of phosphorescent pink unfold to illuminate Lake Maracaibo, a brackish bay that opens north to the Caribbean Sea. A quarter of Venezuela’s population lives in the highest concentration of lightning on Earth, 250 flashes per square kilometer (0.4 square miles) per year. “A lot of people die each year,” said Ángel G. Muñoz, a physicist and researcher at the National Oceanic and Atmospheric Administration (NOAA). The lightning is so consistent—occurring 300 days a year at the same time and in the same area, where the Catatumbo River meets Lake Maracaibo—it has earned its own proper name, Catatumbo Lightning. Around the world, lightning is forecast only a few hours, and at best, days in advance. Muñoz and his team wanted to do better. He said, “We’re talking about three months in advance. That is huge.” Catatumbo Lightning is consistent on a daily scale, but its behavior shifts along the year and between years. If the team could capture its physical mechanisms, they could be the first to predict lightning on a seasonal scale. Shortly after dusk, lightning strikes Lake Maracaibo about twenty-eight times a minute for up to nine hours. “The lightning can be so continuous that you see everything around you,” Muñoz said. Suspended over the mouth of the Catatumbo River, which locals call the “river of fire,” this strobe light brightens night into day. “You should be afraid, but it is so impressive that your fear gets overwhelmed. You actually don’t feel fear,” said Joaquín Díaz-Lobatón, a physicist and researcher at the Centro de Modelado Científico at Universidad del Zulia in Venezuela. Sailors have embraced this phenomenon for centuries, using the Maracaibo lightning as a beacon. When Italian navigator Amerigo Vespucci sailed into Lake Maracaibo in 1499, he encountered a city of huts built on stilts. He called the floating city Venezuela, or “Little Venice,” or so one story goes. 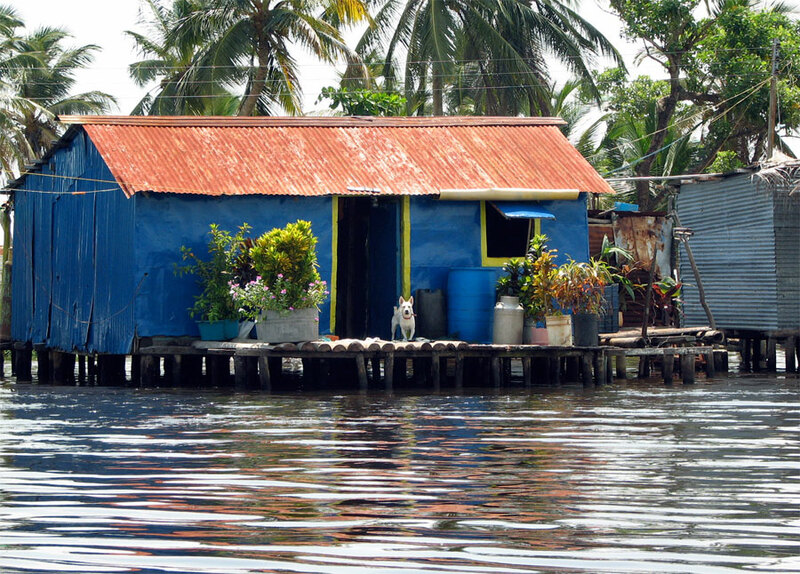 Today, the lake supports 20,000 fishermen, and many live in palafitos, one-room, tin shacks. “These people, the forgotten people, are frequently getting struck by lightning,” Muñoz said. Catatumbo Lightning strikes people three to four times more here than in the United States. Most fishermen understand fish bite best at dusk when Catatumbo Lightning brews. “We want to make life easier for them with lightning detection and prediction,” Muñoz said. All thunderstorms follow a formula: rapidly rising warm air collides with moist air. Unstable air and moisture are key, and Catatumbo Lightning gets a boost from a unique topography. Mountain ridges cup three sides of Lake Maracaibo, leaving a narrow window open north to the Gulf of Venezuela. The inflowing Caribbean Sea provides an endless supply of warm water, while the hot tropical sun pulls additional moisture from the lake. At sunset, strong winds whip the mountains, jolting warm air up to form cumulonimbus clouds that rage inside. When water droplets of humid air collide with ice crystals from the cold air, it produces static charges that build up. The release discharges a zigzag of electrical energy strong enough to light 100 million bulbs. Ten minutes of Catatumbo Lightning could illuminate all of South America. So what makes Catatumbo Lightning consistent? 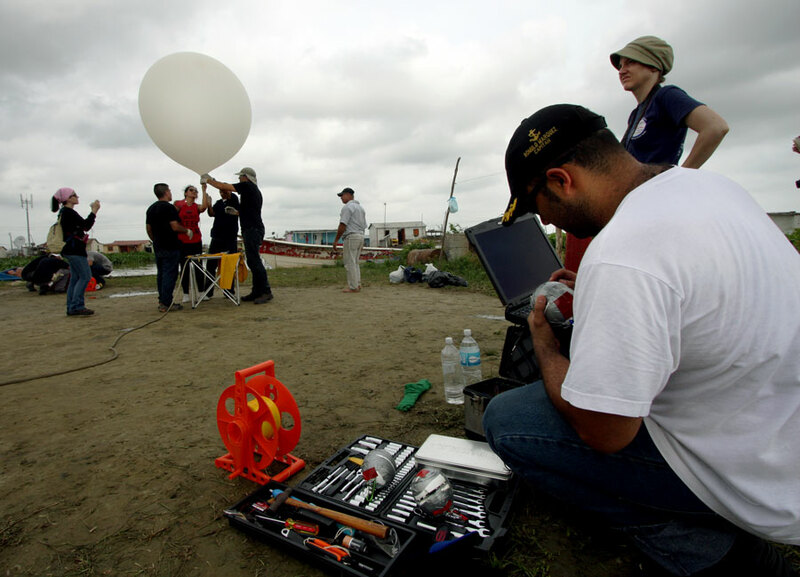 In 2015, Muñoz and his team sent weather balloons onto Lake Maracaibo. 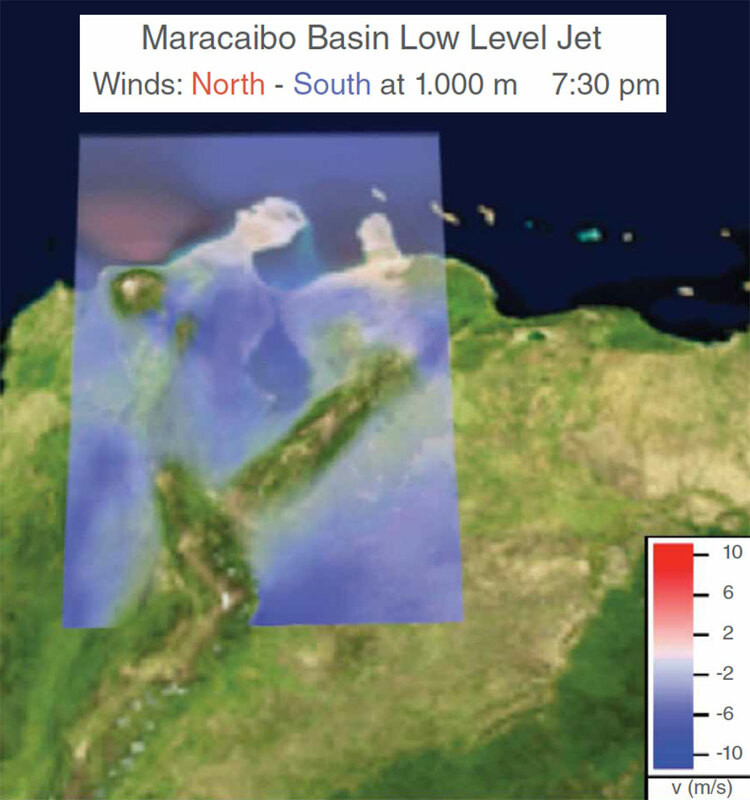 They found that close to the surface, no more than one kilometer (0.62 mile) high, a swift ribbon of air—the Maracaibo Basin Nocturnal Low-Level Jet—transports moisture from the Caribbean Sea and Lake Maracaibo to its southern basin, where it interacts with the mountains. “When winds transport this moisture towards the mountains, there is nowhere for it to go, except to ascend really fast,” Muñoz said. “The winds are key. It has to do with how the winds are dancing.” The low-level jet generally occurs every day at the same time, but moisture levels change throughout the year. For instance, here El Niño years, like in 2010, are drier than La Niña years. So the researchers needed a seasonal-scale equivalent of the low-level jet. To find it they would need models and observations. Models need training. For a model to accurately gauge present and future conditions, it must replicate past events. So if on a particular day, lightning struck 13,720 times, the model should show that. “To do that, you need a lot of years of data,” Muñoz said. Luckily, satellite images from NASA's Global Hydrology Resource Center (GHRC) Distributed Active Archive Center (DAAC) offered seventeen years of data, which were averaged to show seasonal patterns. Lightning density information was combined using two sensors: the Optical Transient Detector on the OrbView-1 satellite, and the Lightning Imaging Sensor (LIS) on the Tropical Rainfall Measuring Mission (TRMM) satellite. To compute monthly lightning patterns in the Maracaibo Basin, the scientists used the LIS Science Data set. Put together, they had a shot at teaching their model. “Models are never quite right,” Muñoz said, “but with actual observations from satellite data we could correct them.” The team reproduced observed lightning frequency using multiple variables: sea surface temperature, humidity, wind, and Convective Available Potential Energy (CAPE), a measure of instability essential in storm development. When heat rises and clashes with cool air, the resulting turbulence ripples into severe storms. Since multiple climate drivers tweak lightning activity at a seasonal scale, the team decided to couple certain variables, running different scenarios. “Maybe we are missing a lot of other climate variables, but one index in particular captured it,” Muñoz said. “You only need one and we got it. That was cool.” After months of study, the one index to explain the lightning phenomenon was the advection, or transport, of CAPE. The models became sensitive to lightning prediction when the researchers combined CAPE with the Maracaibo Basin Nocturnal Low Level Jet (MBNLLJ), the north-south wind pattern created by temperature differences between the Caribbean Sea and the lake basin. Using MBNLLJ in the models accurately reflected daily lightning activity. Adding the Caribbean Low Level Jet helped the team look out months in advance. Adding global-scale drivers, like El Niño, gave insight into the extent of dryness for that year. 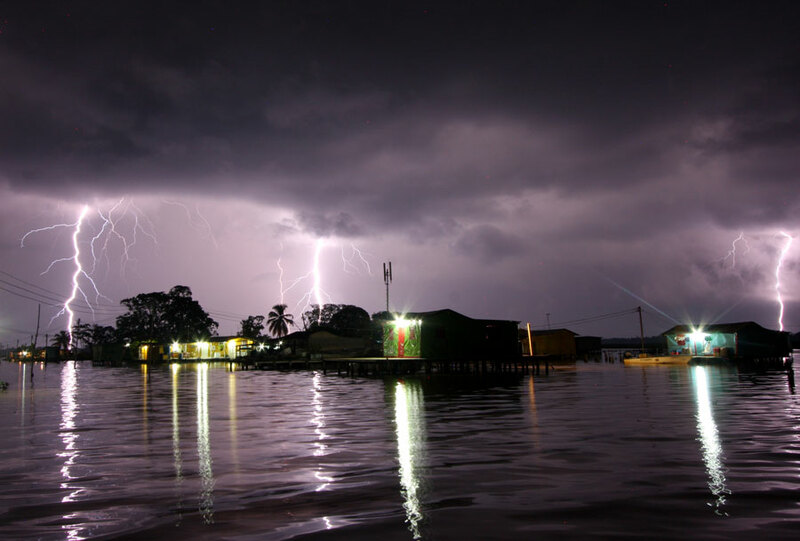 Catatumbo Lightning is most active in the wetter months of September and October, and least active in the drier months of January and February. The team’s predictions were slightly stronger during the minimum season, but in general the skill level was high enough that decision makers in the Lake Maracaibo Basin could use the model for human safety, and more. Lake Maracaibo is one of the oldest lakes on Earth. Its rich geological history has deposited the world’s largest fossil fuel reserves, dwarfing those of Saudi Arabia. In the sixteenth century, Spaniards used tar from its large oil seepages to caulk their ships. Today, more than 15,000 miles of oil and gas pipelines crisscross the lake floor. Oil leaks out of corroded pipes, and puddles of iridescent rainbows surface. “This used to be one of the top oil producers in the world,” Díaz-Lobatón said. Political disorder and the recent, depressed oil market has slowed production, but at its height 90 percent of Venezuela’s economy came from oil. And no matter the productivity level, real and false lightning alarms have hampered about 10 percent of its yearly extraction. “Lightning storms hinder a significant amount of production. The model could help address this,” Díaz-Lobatón said. The oil industry could delay or reschedule their work. Fueling fishing boats also sends fishermen into dangerous lightning. Lake Maracaibo spans 13,200 square kilometers (5,100 square miles), about the size of Connecticut. From Congo Mirador, a palafito village at the mouth of the Catatumbo River, to a fuel station requires a two-hour journey one way. Providing months-advance warning could help people take extra precautions. Fishermen could fish on milder nights, and the four-hour boat journey can be better planned for. “It’s not about stopping things for months. It’s about taking advantage of windows of opportunity, and not taking unnecessary risks when lightning activity is above normal,” Muñoz said. Albrecht, R., S. Goodman, D. Buechler, R. Blakeslee, and H. Christian. 2016. LIS 0.1 Degree Very High Resolution Gridded Lightning Climatology Data Collection. Data sets available online from NASA's Global Hydrology Resource Center (GHRC) DAAC, Huntsville, AL, U.S.A. doi:10.5067/LIS/LIS/DATA306. Blakeslee, Richard. 1998. Lightning Imaging Sensor (LIS) Science Data. Data set available online from NASA's Global Hydrology Resource Center (GHRC) DAAC, Huntsville, AL, U.S.A. doi:10.5067/LIS/LIS/DATA201. Cecil, D. J., D. Buechler, and R. Blakeslee. 2014. LIS/OTD Gridded Lightning Climatology Data Sets. Data set available online (ftp://ghrc.nsstc.nasa.gov/pub/lis/climatology) from NASA's Global Hydrology Resource Center (GHRC) DAAC, Huntsville, AL, U.S.A. doi:10.5067/LIS/LIS-OTD/DATA311. Díaz-Lobatón, J. 2012. Energética de los relámpagos del Catatumbo. Trabajo Especial de Grado. Translation: Energetics of the Catatumbo Lightning. BSc Thesis. Departmento de Física, Facultad de Ciencias de Universidad del Zulia. Maracaibo 102pp. Muñoz, Á. G., J. Díaz-Lobatón, X. Chourio, and M. J. Stock. 2016. Seasonal prediction of lightning activity in North Western Venezuela: Large-scale versus local drivers. Atmospheric Research 172–173: 147–162. doi:10.1016/j.atmosres.2015.12.018.